Baseball's first organized night game actually took place in Independence, Kansas in 1930 but night games didn't come to the major leagues until 1935. (7) May 23, 1935 was the date of Major League Baseball's first scheduled night game in Cincinnati, Ohio. Actually the game was rained out, but the next night President Franklin D. Roosevelt pushed the switch to illuminate the field so that 20,000 fans could watch the Reds beat the Phillies 2-1. 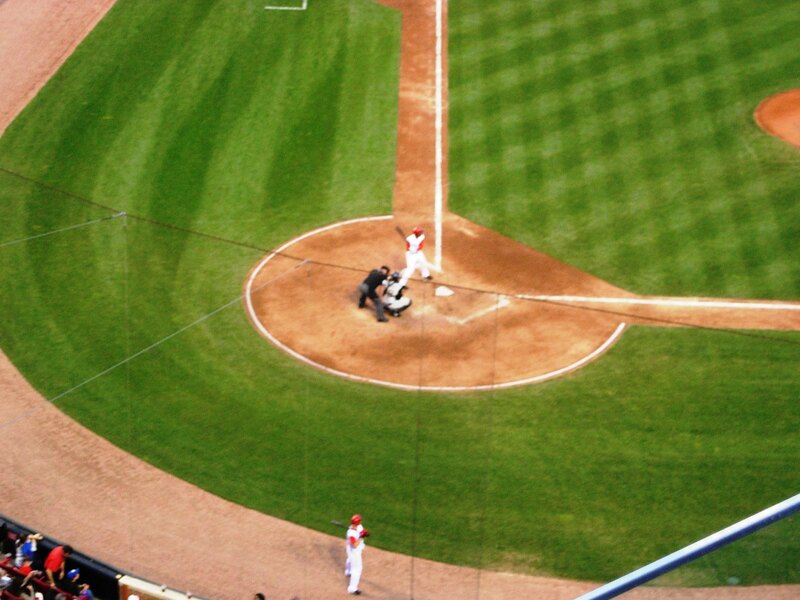 Wrigley Field was the last major league ballpark to not install lights. Around 1940 lights were ordered for the Chicago ballpark, but with the start of World War II Cubs' management thought the lights would be of more use to the army. In 1988 lights were finally added for good after a long fight with neighbors in "Wrigleyville." Strangely, like the first scheduled night game at Crosley Field, the first night game planned for the Cubs was rained out. Wrigley Field still annually holds the most day games of any major league park. Wrigley often even hosts Friday day games, seemingly missing an opportunity to draw kids to weekend night games with no school the next day.